Amusing – Inge Santoso – Learn & Grow! 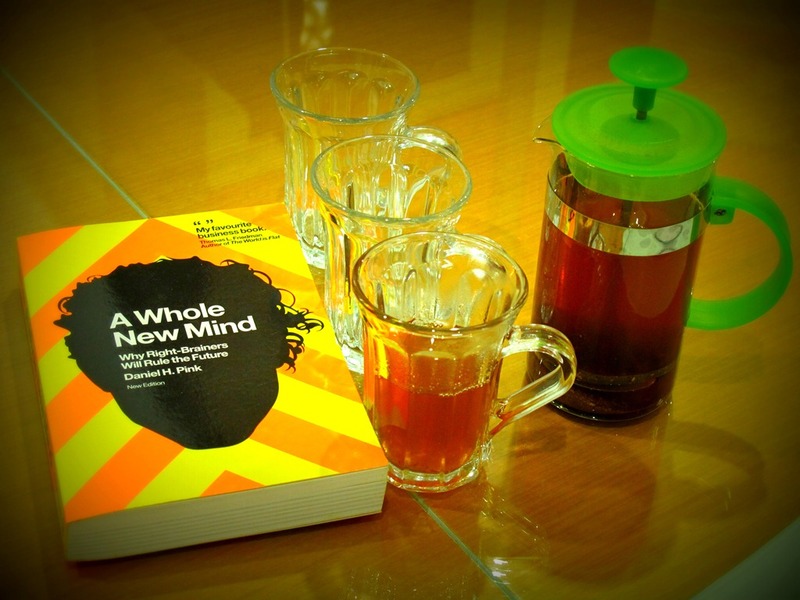 Three days, three unique people, born in three different decades, having three kinds of tea, sharing thoughts and creating a whole new mind – That summed up what happened to us. Where am I? Somewhere in the middle! We are similar yet different, we are different yet similar. That’s why it was so interesting! It seemed that whatever we discussed or did, we could either empathize, or learn from each other. I felt that by getting to know more about them, from their stories and experience, I learned even more about myself. I hope that through the sharing, our horizon expanded, our feelings enriched, and our mind transformed. I savored those moments when time seemed to stand still, yet it had flown like the wind…being present and still in the rush of ravaging river. May the bond of our friendship last through the ages…until you are 80 years old, I am 90 years old and you are at your 100th year. Going Up The Mountain, Nissan Juke or Joke? Two weeks ago, my friends came from Jakarta to Solo for a short trip. Since one of them has never been to Tawangmangu before, so we stayed in Tawangmangu that weekend. We had a great time having a heart-to-heart sharing about life. It was an enlightening experience for me. On Monday, before we went back to Solo, I offered to take them for a drive to Cemara Sewu on my Nissan Juke. I just got this car a few months ago and I hadn’t had the chance to try in on steep mountain road. I was curious to see how this good looking car would perform going up the mountain. I was pretty confident that I would be able to take my friends to see beautiful sceneries on top of Cemara Sewu. After loading our luggage on the car, I took my friends for a scenic drive up the mountain. At the beginning the car rode smoothly, but when we got to the point where the road was very steep and long, no matter how deep I stepped on the accelerator, the Juke could not move forward. I put the car on power mode and pressed the gas pedal to the ground, but the car only moved forward in inches. After a few meters going on like this, we decided to turn back. In my mind, I was furious. 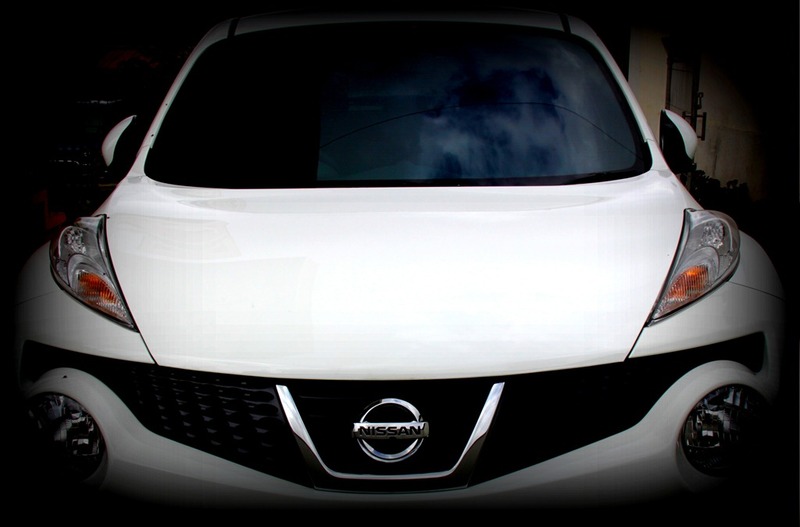 How could this new Nissan Juke not go up Cemara Sewu? It was embarrassing! When I got back, I complained about this to my Dad. He told my uncle who was very knowledgeable about car to check it out. Yesterday, my uncle and the mechanic from Nissan took the car for a test drive to Tawangmangu. When they arrived in Karanganyar, they tried to put the car into test and drove it faster. Although it was only a gentle slope, the car just would not run as fast as it should be. They stopped on the side of the road to check. There was no problem with the engine, so they checked the accelerator. When they saw the position of the accelerator, they finally figured it out why the car would not run faster. The accelerator was hindered by the double carpets! When they removed one of the carpets, the accelerator could be pressed down to the ground and the car just ran like the wind! The carpet was the culprit! When they told me about this, I was laughing out loud. I could imagine my uncle’s facial expression when they found the culprit! It was so funny! A trivial thing may cause a big problem, and a big problem may be solved with a simple solution. In life we are often confronted with problems big or small. When we are faced with big problem, we often assume that we need complicated solutions to solve it…well, not necessarily! Sometimes a simple solution is all we need if we can find the true nature of our problem. Finally, I need not go to Nissan to complain that their Juke is a joke! Just like the song by Bee Gees “I Started a Joke”…Oh if I’d only seen that the joke was on me! Yesterday my friend and I flew from Solo to Jakarta. 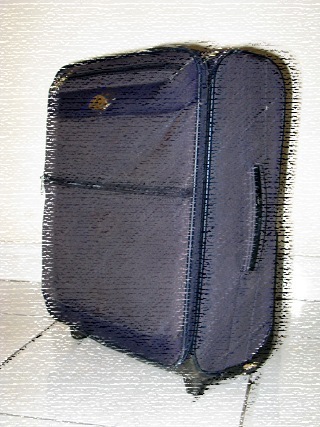 We brought four luggage with us, one of them was the samsonite bag pictured above. While we were waiting for our luggage to come out, we were discussing about passengers who turned on their mobile phones on the plane. Then we saw our bags coming out, so we quickly took them and put them on the trolley. I prepared my luggage tags just in case they asked to see them before leaving the airport. As it happened, no one was there to check the luggage tag, so we just went out to get a taxi. I loaded the bags to the trunk of the taxi and we left the airport. About 10 minutes after we left the airport by taxi, I received a call from an airport ground staff. He asked me whether I arrived by GA 221 from Solo this morning. I said yes. Then he asked whether I got all my bags because he found my samsonite bag. I confidently said that I’d got everything, I’d taken all my four bags. He asked me to stop and check because I might have taken somebody’s else bag by mistake. I insisted that I couldn’t have mistakenly taken the wrong bag but I asked the driver to stop and check anyway. When I opened the trunk and saw the bag…Aaah the samsonite bag in the trunk was definitely not blue, it was black!! It was not mine! I took the wrong bag! I told the taxi driver to drive back to the airport to return the bag and get my own bag. This mistake cost me more than Rp.100,000 in taxi fare because we had to exit the highway, turn back and re-enter the highway to the airport. It was the first time it ever happened to me and hopefully there won’t be a second time. It was quite amazing how two set of eyes could get it wrong, then by chance there was no one to check the tags as we went out. One other thing, that bag also had the same broken wheels. Coincidence? I don’t think so. I do not believe in coincidence. Thinking positively about this incident, perhaps the taxi driver needed more money and we had helped him out. There were so many possibilities and I’d rather see this as a part of a master plan and something good has come out of it. Do not be arrogant. Mistakes can happen to anyone. We all make mistakes one time or another. As we go through life, from one experience to the next, there is always a first time for everything. It is just part of life. Last week, I read a blog post about learning one new skill every year by giving yourself a full year to learn and master a new skill. I was inspired and I decided to learn how to play guitar this year. I remember when I was a kid, my mom wanted me to learn to play organ. I did not like it at all. Whenever the teacher came to our house to teach, I pretended to sleep. There was one time that I said to her I was sleepy and I slept on top of the organ. Finally my mom and my teacher gave up and I stopped learning. What I did not tell them was the reason why I did not want to learn anymore. The teacher told me to learn a song called “Bunga Matahari” (Sunflower). I did not like that song at all, I also found it too hard. The teacher forced me to play that song over and over again during a one-hour lesson. Then she told me to practice that song for one week and we’d play it again in the next lesson. That was when I decided to quit. I just did not want to play that song. It has been 25 years since that incident. I have not told anybody about it. When I wrote this post, I just realized something very important. This incident of playing that song over and over again might be the incident that caused me to hate repetition and make me want to pee whenever I have to do something over and over again. Even writing this post and remembering the incident, I feel that I need to go to the toilet. (In 15 minutes I went three times already). HAHAHAHA Finally after 25 years, I found the real cause of my repetition-make-me-want-to-pee problem! I am so glad that by writing this post, I finally uncover the cause of my problem. It may seem silly to you but it is a profound AHA moment for me. I had wanted to try Stabucks’ Dark Cherry Mocha since last month. 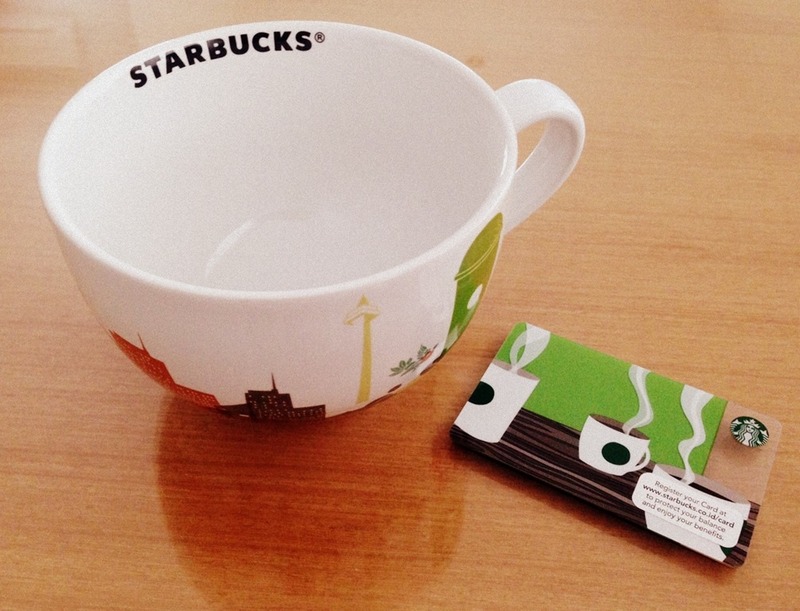 I finally drank it in Starbucks Jogjakarta yesterday. I loved it! It had a rich and full mocha with a hint of cherry as an aftertaste. If you love mocha, you must try it. 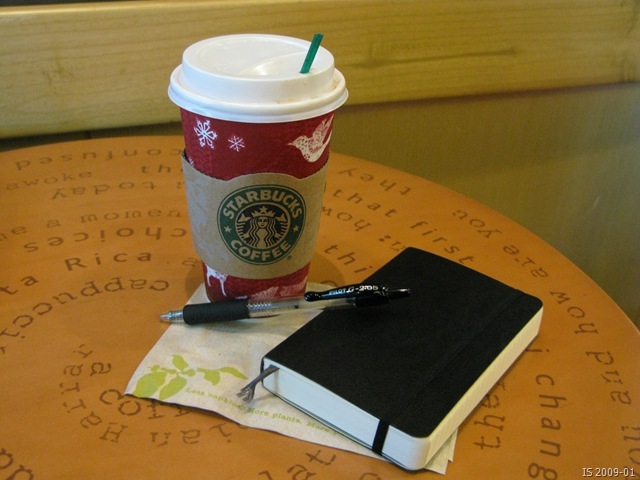 Drinking coffee, writing in my new moleskine using my G2 pen…one of the best moment I had this weekend. I wish I have someone special to share this simple yet awesome moment with me.